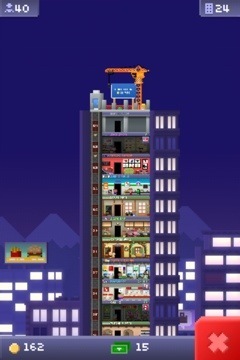 I am enjoying this I phone app. 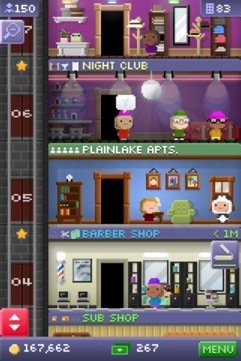 Whenever I have time, I’m checking this little people and my Tiny Tower. 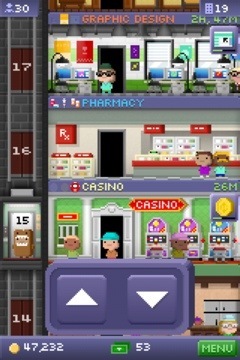 Recently I just build very nice cozy apartment and exciting casino! WHOA! I guess what I am writing about is so nerdy! LOL! 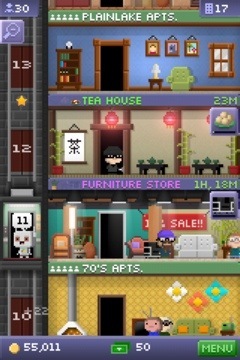 Anyway, check my sweet Tiny Tower out! Hey! 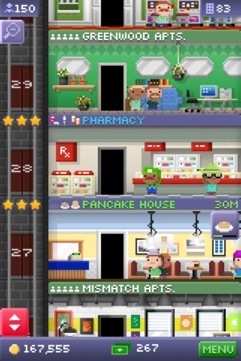 Cute customer visiting my Tiny Tower! Do you recognize “DOMO-kun”!? Also, I have another very cute customer! !